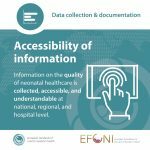 With the campaign “11 Months – 11 Topics”, launched in 2016, EFCNI’s social media and online communication focuses from February to December on one newborn health standard topic. 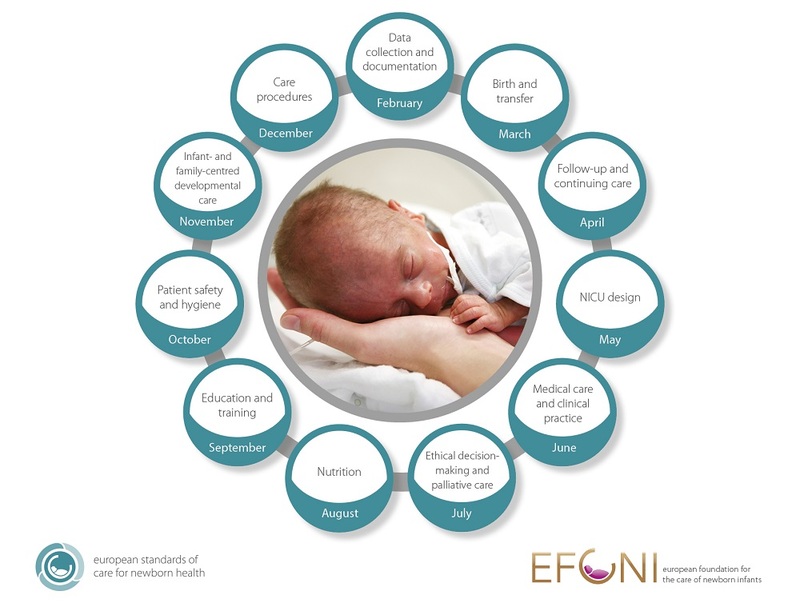 They correspond to the eleven main subjects of the European Standards of Care for Newborn Health. Every month, the corresponding topic is explained by sharing related publications, news, interviews or guest articles. 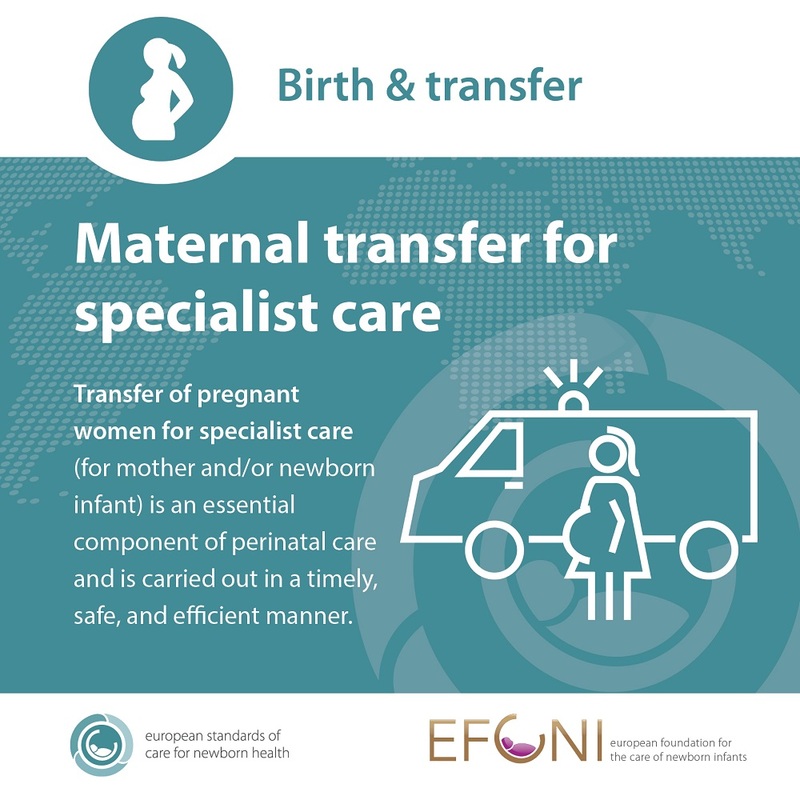 The intention of “11 Months – 11 Topics” is to reach out explicitly to health professionals and policy makers, but also to lay persons who are to benefit from the dissemination of the standards in the long run, namely the preterm babies and their parents, relatives, and friends. With this campaign, extensive information and best practice examples are shared in order to raise awareness of the need for standards. Every year there have been different repetitive components, which were supplemented by up-to-date information, e.g. research articles. In 2019, the campaign now enters its 4th year. 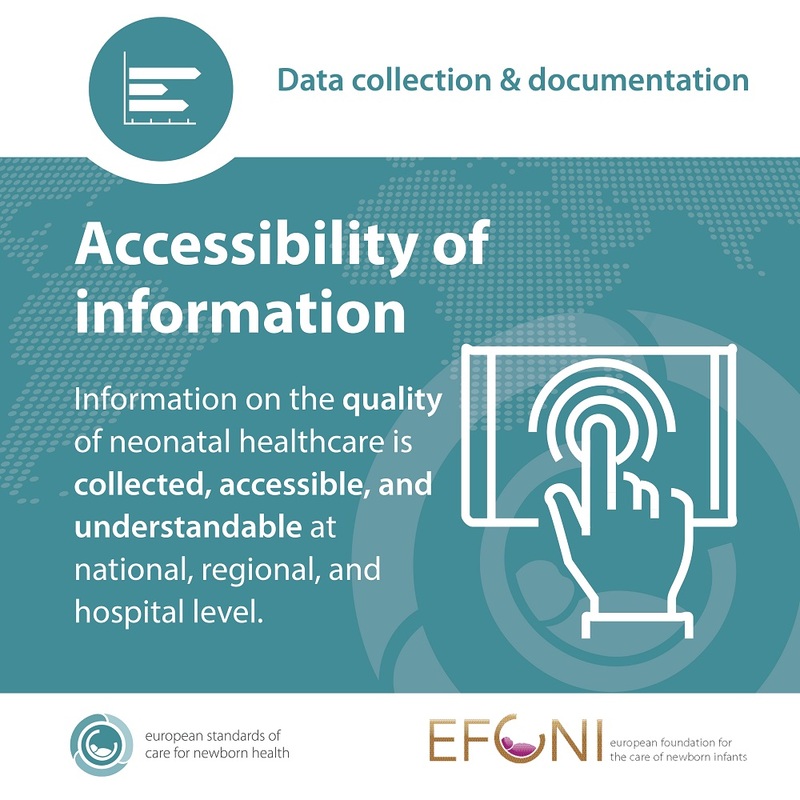 It provides new features like an overview on the standard topics, whole sets of standards for download as well as selected standards “in brief”. Focusing on the monthly topic, e.g. 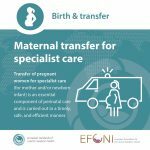 “Birth & transfer”, we highlight one of the newly released standards in this field. In the “standard in brief” you find the most important details like the benefits, key components, practical steps, target groups, and much more simply at a glance. In 2017, we launched a series of video interviews with the Chairs of the 11 Topic Expert Groups as part of the 11 months – 11 topics campaign.